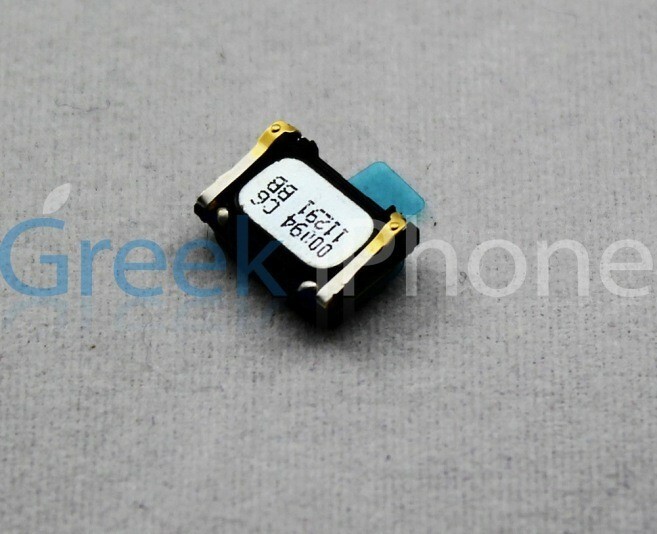 Greek-language site Greek-iPhone.com published (Google translate) a set of photos claiming to represent a high-resolution camera module with LED flash, presumably for iPhone 5. The site, whose track record in the Apple reporting biz has not been fully established, claims the module on show is “quite different” compared to that on the iPhone 4. It is round, a little thinner and appears to have more megapixels, the site informs. The part is labeled 00094 C6/11291 BB. Gadgets DNA notes these are the same parts leaked yesterday – and they do appear to be similar – but there is no way to tell that for a fact. Meanwhile, Giz-China.com points to Lead-mall.com, a Chinese supplier of iPhone parts which lists the eight-megapixel camera module for nine bucks, which is the same asking price for the iPhone 5′s supposed front camera with cables. Now, Greek-iPhone.com did discover in February that Mac OS X Lion would support Yahoo! accounts for chat, audio and video conferencing. However, you’re advised to take their report with skepticism and treat the images included here not as a definite evidence. It has become difficult to predict anything about Apple’s next handset with any degree of certainty due to a number of conflicting reports that polluted the blogosphere. The site also leaked an audio cable which appears to confirm a little design change with the iPhone 5 buttons, included below the fold. The below image shows the audio cable with the headphone jack, as well as connections for the mute/vibrate switch and the volume up and down buttons. Notice anything strange? The volume buttons are positioned on the right rather than on the left side. This design tweak also conflicts a previous case leak which basically indicated the next iPhone could have a ringer switch on the opposite side of the volume keys. 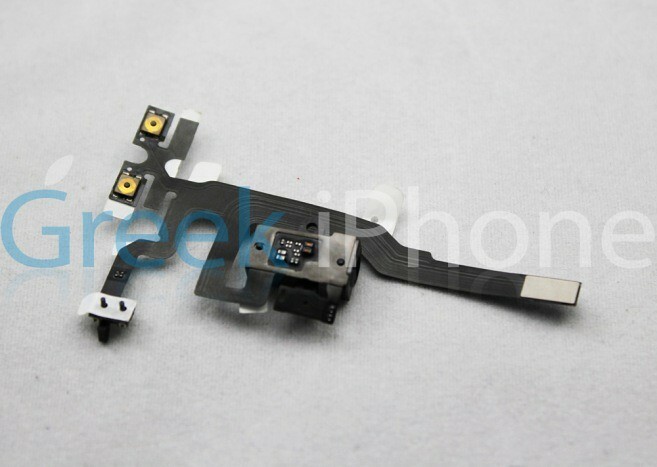 Note it’s also possible this particular part could be for a redesigned iPod touch. Alternatively, it could as well be for a rumored smaller iPhone model, apparently code-named N97. That device is said to be smaller than the iPhone 4 while featuring an edge-to-edge display, per this Wall Street Journal story. 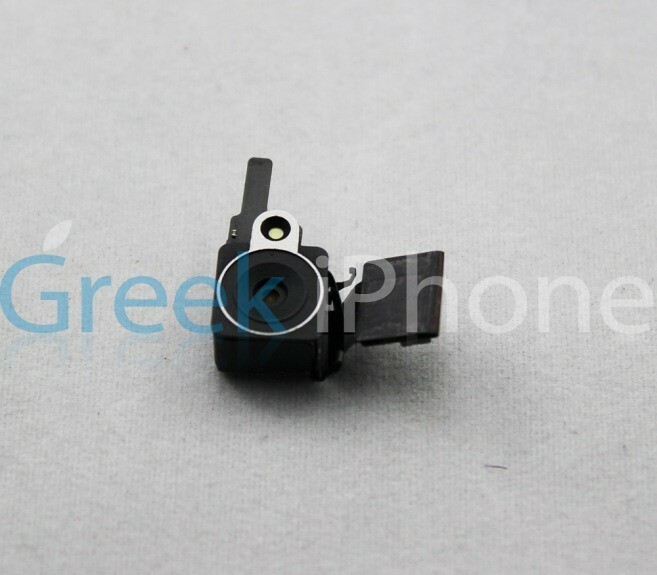 The latest tidbit regarding iPhone 5 parts came yesterday when DigiTimes and MacPost.net both chimed in with information and leaked parts which would have you believe that one or more future iPhones would have an iPhone 4-sized display and metal chassis on the back instead of the reinforced-glass. Per our report, Apple could be gearing up to launch iPhone 5 on October 7, with pre-orders beginning September 30, although that date could (and probably will) change. As for the iPhone 5′s camera, Apple is thought to have cut a deal with Sony, which will reportedly supply the company with eight-megapixel camera modules for the handset. Apple’s long-standing supplier OmniVision is also expected to provide camera parts, industry publication DigiTimes wrote back in June. Limerain first reported that Sony might supply rival Apple with cameras for iPhones, maybe even iPods, back in April of this year.